TRNSMT is starting to look at home on Glasgow Green, banishing memories of slogging out to Perthshire. And they've scored big with Arctic Monkeys' only UK festival show of 2018. Even the weather is playing ball. It's not often you see screens flashing up warnings about applying sunscreen at a Scottish festival. 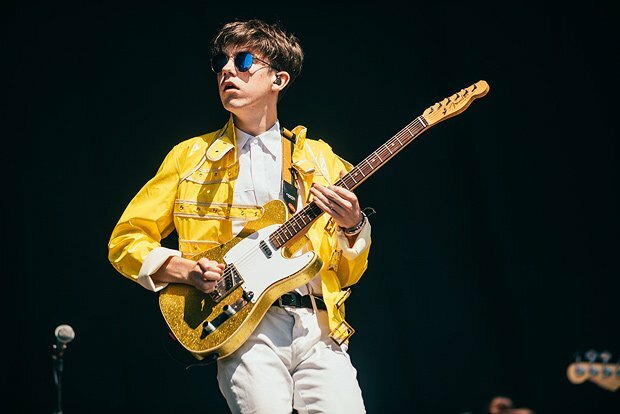 Young Declan McKenna (★★★☆☆) looks surprisingly at home on the big stage with his vaguely psychedelic indie (even in his bright yellow 'Primark Freddie Mercury' jacket). Nothing But Thieves (★★★☆☆) vie for Muse's histrionic rock crown with a fast frenetic pace, several huge breakdowns, a killer Led Zep cover ('Immigrant Song') before an explosive 'Amsterdam' as front man Conor Mason shakes and twitches through their set, even if his falsetto sometimes drags them into Darkness territory. A swirling mix of 60s Beach Boys sounds filtered through 90s Madchester, Blossoms (★★★☆☆), and particularly 'Charlemagne', perfectly match the glorious weather. Scots trio Fatherson (★★★★☆) rock it on the King Tut's Stage. Reading the crowd they focus on their faster material and instantly connect with the local audience, building on elements of Biffy, Frightened Rabbit and their own take on indie pop anthems. Bassist Marc Strain has a massive grin plastered across his face throughout and vocalist/guitarist Ross Leighton's pink suit deserves a shout out. The all-black uniform and throbbing electro of Interpol (★★★★☆) feels slightly incongruous in the blazing sunshine but 'Rest My Chemistry', 'Evil' and 'Slow Hands' still bristle with dark power. It's hard not to fall for Sigrid (★★★☆☆). 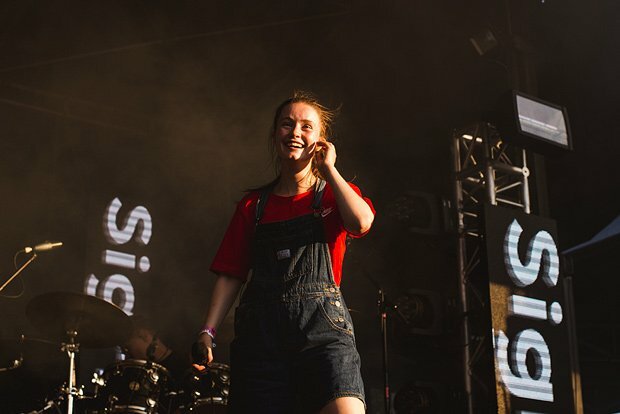 Dressed in dungaree shorts, she looks about 12 years old, dancing like no-one's watching – she's utterly adorable. A warm, happy, upbeat, inclusive performer and 'Strangers' is a wonderfully quirky pop banger. Tonight, however, truly belongs to Arctic Monkeys (★★★★☆). 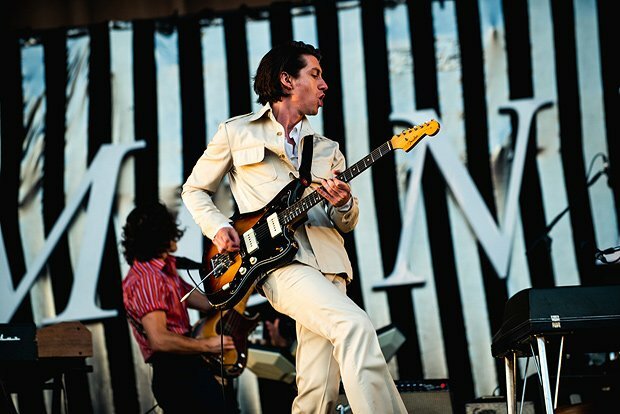 Alex Turner saunters on stage in a beige safari suit that perfectly fits the retro futurism of new album Tranquility Base Hotel & Casino. Despite the divisive nature of the latest record the new material slots in nicely, transforming the Monkeys into a louche lounge act. Then tracks like 'Brianstorm' and 'The View From the Afternoon' hit hard and fast. It's so slick, effortlessly transitioning from the cosmic vibes of 'One Point Perspective' to the primal 'Do I Wanna Know?'. 'I Bet You Look Good on the Dancefloor' explodes like liquid dynamite, while Miles Kane joins them for a shimmering '505'. The only fault is beyond their control – of course there are wider considerations with a city centre festival – but for a crowd of this size, you need more volume. Four stars out of five. After taking over where T in the Park left off, TRNSMT returns. Acts are still to be confirmed but previous headliners include Radiohead, Biffy Clyro, Liam Gallagher and Arctic Monkeys. Mystery of the final headliner is still to be solved, who will it be?